I’m sure they wouldn’t have wanted it this way, but Doug and Telisha Williams have tapped in to the zeitgeist with this album released so soon after the latest atrocity in Florida. “Radiant” has more than its fair share of message songs including one that deals with sexual intolerance and another that has references to gun massacres and sexual intolerance (and lots of other things). By a strange coincidence, those two songs, “Love Is Not a Sin” and “Unplug the Machine” are among the standout songs on the album, but by no means the only ones. The playing and the vocals are perfect throughout as Doug and Telisha are supported by Megan Jane and Fats Kaplin and their overall sound is beefed up by Doug’s switch from acoustic to electric (Telecaster, of course). The album covers a variety of styles, from the sixties-styled, reverb-soaked opener “Born with a Broken Heart” to the pure country of “Mom and Pop” and the lyrics range across message songs, revenge songs and songs about Catawba tree watching over generations of families and silently witnessing the changes in their circumstances in “Tower and the Wheel”. “Radiant” is full of songs that are superbly crafted and arranged, particularly a section of three songs in the middle of the album. “Mom and Pop” is country all the way, with a lead vocal from Doug, as it tells the story of a small-town store forced out of business by the big retail players. It’s powerful social comment made more poignant by the little details about the creaky floorboards the owner never got round to fixing and the relief that Mom and Pop aren’t around to see the end of their store. “Unplug the Machine” is raw power from the start, the verses spitting out a rapid list of the world’s ills in the style of Billy Joel’s “We Didn’t Start the Fire” before erupting into the catchiest chorus I’ve heard in ages; you’ll be singing along at the top of your voice. It’s an anthem. “The Night We Never Met” drops down through the gears to a sixties girl group sound with a story that’s an alternative take on Goffin and King’s “Will You Love Me Tomorrow?”, where the lovers don’t actually meet. It’s a lovely (and very clever) song which captures the style perfectly. 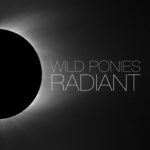 “Radiant” combines a passionate commitment to social and environmental issues with lovingly-crafted songs to create an album that inspires a questioning attitude without sounding preachy; that’s quite an achievement. “Radiant” is out I the UK on Friday June 24th on No Evil Records (NER003). They’re also touring the UK and Europe at the moment and you can catch them in these places .